Making a JTreeCellRenderer fill to the right edge of a JTree is a herculean task. Something as seemingly innocuous as controlling a cell renderer’s width turns out to be a rather tough job. This method determines how to size a node. The default implementation bases the calculation around the renderer’s preferred size. Sub-classing BasicTreeUI let’s us determine this value ourselves, and we’re in a spot in the code that has access to all the information we need (like node indentation values). Note that we actually want the renderer to extend to the right edge of the enclosing JScrollPane rather than the actual JTree. Notice that I’m overriding a couple additional methods to prevent the painting of the node-connecting lines. Also, not shown here, I have set my tree to use a large model by calling Tree.setLargeModel(trure). I’ve yet to figure out exactly what all the implications of setting this property are, but it does seem to cause the tree nodes to be relayed out on each repaint. This is important because the renderer widths will change with the size of the containing JScrollPane, whereas normally, the renderer widths are relatively static on a per-node basis. The above solution works in my case because I’m providing all the painting (to include the disclosure icons) for my JTree. If you know of more componentized way (that is, not involving sub-classing) of accomplishing this, let me know! Is the gradient standard since Leopard? I am just wondering because I fear I would have to implement this on my own to get it running for Tiger, too. I added the gradient myself…so it isn’t standard. It would be great if there were a client property that let us turn that on – though that wouldn’t help you in Tiger. I’ve found the most straight forward way to implement this is by overriding the paintComponent method (again, not something I like to do). Here, you can determine if there is a selection, get the bounds of the selected row, and then fill that rectangle with a gradient. This technique allows you to fill the *entire* width of the JTree. To handle mouse clicks on the entire width, you’d also have to add your own MouseListener. I just found a minor bug in my code: dimesions.width should use fScrollPane.getViewport’s width rather than fScrollPane’s (see below). Without this fix, the right side of the tree will be obscured by the vertical scrollbar when it’s showing. Hello, I have a problem with the code above. Although the highlight goes to the right border of the JTree, it does not fill whole line to the left from the node label. Is any special cell renderer required? As demonstrated by the red border in the screen shot above, I’ve only intended to have the tree cell fill right. If you’re trying to paint the selection, I’d suggest overriding paintComponent. I can post the code for that if you’d like. Thanks Ken, the code would be nice if you have time. What paintComponent method should I override? The method of the element that is used for rendering the cell node (provided by TreeCellRenderer)? That would mean painting outside of its boundaries. Is that OK? // paint the background for the selected entry, if there is one. 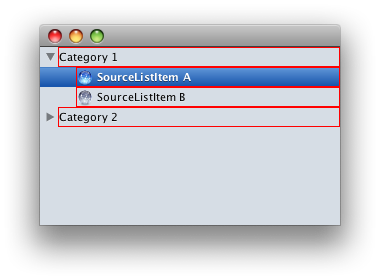 // you could loop over the selected row indicies if desired. // get the bounds of the selected row. // ignoring the bounds x-values. fScrollPane.getViewport().getWidth() is 0 every time in my case. It seems, that scroll pane gets width value after createNodeDimensions() is called. Make sure to call Tree.setLargeModel(trure) as this will cause the node dimensions to get recalculated on every repaint. Thanks for your comment, but when I override the method createNodeDimensions() then doesn’t actualize the width. The first time paint the panel over the total width, but when i resize the JFrame the size from the panel don’t actualize. Sorry if this should be obvious, but where is fScrollPane being declared? Another potentially stupid question… what’s the preferred way to tell java to use the new implementation of BasicTreeUI? Good point…I should have identified how I got a reference to the JScrollPane. // indicate that the parent of the JTable has changed. // a JScrollpane, then install the custom BugFixedViewportLayout. // install the custom ui delegate. VERY much appreciated Ken. You’ve saved me a huge amount of time. It seems to work right when the nodes are first loaded, but when I resize my component, it does not seem to recalculate the dimensions. Any ideas? A key ingredient to this technique is calling yourJTree.setLargeModel(true). I haven’t traced the intricacies of what this actually does, but it seems to cause the node dimensions to be recalculated rather than cached. Thanks, I do have setLargeModel set to true. After adding a println I can see that getNodeDimensions is definitely being called consistently for tree events like expanding/retracting a node. However, it doesn’t seem get fired when the component is resized. Not really sure how big of a hit configureLayoutCache() is to performance, but everything seems fine on a smaller model size. Gives the same effect, but might be less intrusive than subclassing the UI. This due to that pesky AbstractLayoutCache I mentioned. My solution address this issue (as well as filling the full tree width), which is part of the reason I settled on it. It’s unfortunate because it requires extending BasicTreeUI which means you can’t simply extend the default look and feel. There might be more issues with it though, but I still like this method a lot better than subclassing/replacing the UI. Anyways, thanks for the feedback and great work! I agree with you on sub-classing – if I can avoid it I do! I’ll give your solution a try. Thanks a lot , Ken. Would you like to help me to find why the problem occur?? I post the code wrong…..The following one is the right one to show the problem…..
Harald… Thanks dude.. u’r solution works off the bat. sorry, none of the solutions here works for me. Has anyone a complete example with the solution of Harald? And how can I add this gradient? None of the code fragments worked for me. The background of the tree nodes is not filled over the whole tree width. Is there any working solution for Java 1.4 and Default and/or Windows Theme? I already use a TreeCellRenderer and added a setPreferredSize(size of JTree’s parent panel) statement, which sets the size for each node. Setting the preferred size works as long as a window resize increases the overall size. If you resize the window to a smaller width the parent panel can not get smaller because the setPreferredSize of the JTree now prevents it :) but there is a solution: I calculate the size in two steps: 1) I calculate the “visible” size of the surrounding component, using a componentListener attached to the JFRame that catches resize events. This Iistener triggers the size calculation of the inner components: in my case I had a JSplitpane with the tree on the right side, so I used “frame width – splitpane divider location – component insets” to calculate the “visible width” of the right component of the SplitPane that contains the JTree. But you have to find your own solution for size calculation which depends on how your tree is embedded. 2) As a second calculation you have to cover long entries in one of the nodes which may be larger than the calculated visible size. With only the first calculation no srollbars would be enabled. Therefore, I finally calculate the largest width over all tree nodes using string length calculation with fontGraphics once during the initialization of the tree. 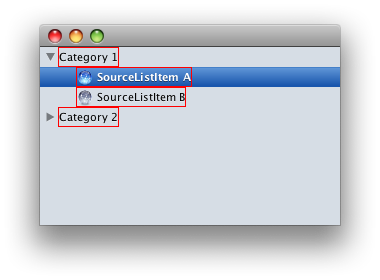 You need to update this value if a new node is added / removed or if you expand the tree and new nodes become visible. With these calculations you now have two values, use a max function and feed this value into the preferred size … this works fine with all window resize, split pane resize events, drag and drop and also enables scrollers if necessary.